As the season winds down you start to reflect on all of the awesome times you had with your ski gear this season. Like your first day out for the year. Or the killer powder day in January, and that awesome surprise powder day in February – the one that you rode with your entire posse. And let’s not forget that warm spring day in March. The one where you were basking in the sun and started drinking beer as soon as the snow got sticky. Now, sadly we’re running into April and the snow is melting – fast. Ski resorts are shutting down and the lifts are starting to stop spinning. This is when you may find yourself asking, what are the best ways to store my ski gear for the summer? There is an old saying that I have been using for years, since back in my ski shop days. “If you take good care of your gear, your gear will take good care of you.” These are words to live by, when it comes to your ski gear. When you pull your skis out of their storage space, inspect them for any damage. If you notice some dings in your edges, or core shots in the base it may be time to head to your local ski shop. Taking your skis in for repairs and tuning is important and ensures they are ready to go the first time you hit the slopes next season. If you had your skis tuned regularly during the ski season, and they seem like they are in good shape wipe them down with a damp rag to get rid of any dirt or grime. You will be amazed at the stuff your skis will pick up, especially spring skiing. Wipe down the bindings, and be sure to check any of the moving parts for dirt. Don’t forget to apply a thick layer of warm weather wax to the bases. Something like Swix CH 8X is ideal. Do NOT scrape the excess wax off. This thick coating of wax is intended to protect your bases and prevent them from drying out for the months that they are not in use. When fall comes around you can heat this wax with an iron and strip it off. By this time you’ll start to apply temperature specific wax best suited for the weather conditions you will be skiing in. Storing your skis is a temperature controlled environment is imperative to keeping them in good condition for next season. This means storing them in a place where the temperature and humidity are consistent. You should never store your skis in an attic or garage, the temperature and humidity levels are subject to change frequently and can cause your skis to rust. Keeping your skis in a Ski Bag for the off season is a good option. Just make sure that your skis are dry before putting them away, and always leave the bag unzipped to allow moisture to escape. This lets rust-causing moisture escape the bag, rather than stick to your skis. If you are looking for an out-of-the-way storage spot for your skis, upright in the corner of a closet and underneath your bed are two great solutions. Always keep them buckled when they get tucked away for the summer months. The cuff of a ski boot is made from curved and contoured plastic.If you don’t buckle your boot the plastic goes back to its flat, natural shape. Keeping them buckled keeps them in the correct shape. Often times, your last day on the slopes means muddy parking lots. Wipe down or wash the toe and heel lugs of your boots. This keeps you from having to try and clean off caked on mud or dirt when you pull them out for next season. Remember to remove your liners and allow the inner shells of your ski boot to dry for a few days before you tuck them away for the off season. Boot Dryers are a great tool for this if you do not want to pull liners out (not to mention how handy they are during the ski season too). Pro Tip: Slipping dryer sheets inside the toes of your boots helps keep the liners smelling fresh for the next season. Try to avoid storing your ski boots in your garage. Critters can find the insulation warm and use them as a place to live, and no one wants that. Animals making refuge inside of a ski boot totally destroys them. I have seen this several times first hand. Reaching your hands inside a ski boot to find mouse turds or worse is an unpleasant feeling. Storing your ski boots in a Ski Boot Bag allows you to keep them in a safe place and out of harm’s way, along with lots of other gear like ski socks, goggles, gloves and a helmet. First of all, you should always read the manufacturer specific washing instructions on each garment to get the best results. And only wash like materials together. Washing a GORE-TEX Jacket with fleece or base layers runs the risk of damaging some of your items, not to mention technical clothing needs specific detergents – but we’ll talk about that in a minute. Check all of your items for rips or tears. In many cases you can find patch kits to remedy these minor injuries that may have occurred throughout the season. And if it’s something you can’t fix yourself, checking your ski gear at the end of the season allows you ample time to warranty your any items that may need to be repaired or replaced by the manufacture. Doing this ensures you’ll have it back in time for next ski season. Double check the pockets and zip them up, you never know what may be lingering in there from the season (an extra twenty, beef jerky or any other little leftovers from the season) are always nice surprises. Always keep pockets and vents zipped up for the washing process. After you’ve washed your technical garments as instructed on the label, line dry or tumble dry on warm in your dryer (always be sure to set your dryer to the gentle setting). Once your items are dry, tumble dry them for an additional 20 minutes to reactivate the durable water repellent (DWR) treatment on the outer fabric. If you can’t tumble dry your garments, iron dry them (warm, no steam) by placing a towel or cloth between your garment and the iron. This will also help to reactivate the DWR treatment. Turning base layers and ski socks inside out is another helpful tip, this allows dead skin particles to be thoroughly removed. It is also the best way to keep them soft without compromising any of the moisture wicking or antimicrobial properties. If you use merino wool base layers, investing in woolite is always a good way to keep them in good shape for seasons to come. And always line dry your base layers to reduce the risk of shrinkage or damage to the fabric. 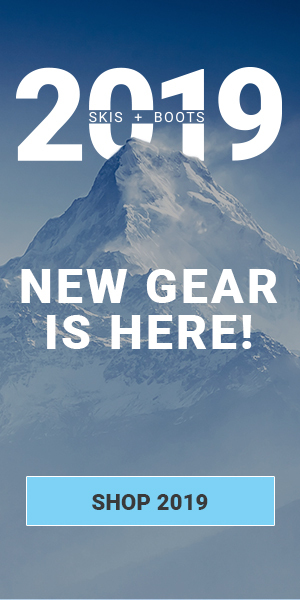 If you keep well maintained gear during the season and during the off season, the snow gods will hopefully bless you with sunny skies and fresh snow when it comes time to use it again. For more information on how to care for your ski gear in the off season take a look at our blog on Spring Cleaning for Skiers and 4 Quick Tips for Ski Gear Storage. I knew it was good to keep boots and skis clean, but I never knew how it helped them. I enjoyed reading this blog and finding out new information on strategies on how to pack my ski stuff for the summer season. I might add that if you want to be extra safe with keeping your skis from getting scraped you can but skip caps on the tips so they stay nice. Again, thank you for the new information. You’re welcome! We’re glad you enjoyed the blog, thanks for the new tip! We’ll keep it in mind for the next one!